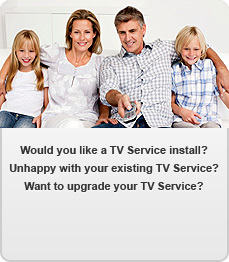 TV Services - Book your Saorview,Sky,and Satellite TV here. Simply complete the online booking form below and a TV Services representative will contact you to verify your request. When your order is agreed one of our engineers will attend your home on the day and times you have specified and will precall you on route.